New watch company MVMT , come join the movement. So now that I just broke that down for you , let’s get started. As I said in a previous blog , The JMADDD STYLES SEPTEMBER ISSUE , this season 90s streetwear has made a major comeback , or the look and feel of 90s inspired streetwear is also making a major splash in the market as well. Members of the Hip Hop group The Diplomats or The Dip Set, has thrown their hats into the Streetwear Couture ring. That is streetwear with a higher quality and price point. Dipset Couture will put you in the mindset of classic brands like Rocawear or Phat Pharm , but with a more modern fit and better cut. Group members Jim Jones and Camron are the master minds behind the brand now being introduced on http://www.dipsetcouture.us . In my Fashionable Opinion , the brand has all the right streetwear elements to be a market success, especially if you are a fan of the group. The line currently consists of jogging suits , T-shirts , and bomber jackets as well , in a variety of color ways . Depending upon what your style esthetic is , or maybe . The peices are easy to style and have enough of a look to almost take you anywhere on a given Friday night when you want to step out but don’t want to be too overdressed or underdressed just somewhere inbetween with an effortless look. So what do you think ? Are you here for it ? As always I LET YOU TELL IT. Me personally Im feeling the look of the brand and The Dipset fashion movement. Join the movement : MVMT Watches. MVMT Watches , is a fairley new independently operated watch company. The slogan includes the meaning of the name Join The Movement (MVMT) . Their nitch is creating a quality watch that competes with the lux brands but make it affordable. MVMT Watches , come in both women’s and men’s styles. The company doesn’t just specialize in watches but they also do a line of signature sunglasses that complement the watches. I come across a lot of new items and I have seen many upstart watch companies, but I have to say I am highly impressed by this brand and their being able to create a luxury watch at a price point between 150.00$ / 350.00$ U.S. currency. For the look and style this company offers , they by far are one of the best independent watch companies I’ve come across. You can find the watches on their website http://www.mvmtwatches.com , and that is truly New and Fashionably Noteworthy. Well there it is we have come to the end of another blog post , I hope you have enjoyed it. 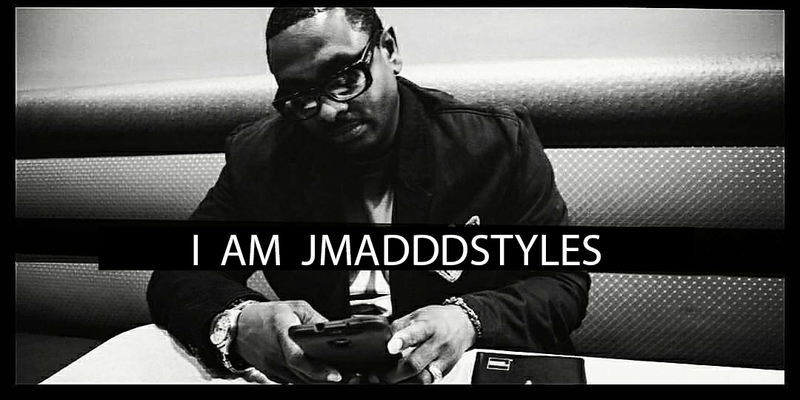 But as always, I AM JMADDD STYLES and that’s it for now, so until the next time IM GONE. Previous Post A Night In NYC : Fashion Week. Next Post Designer Spotlight : Michael kors & Versace.